Imagine being surrounded by what is considered some of the world’s most dramatic and awe-inspiring, wild terrain. That’s exactly what this collection of Utah wall murals serves up for your space. These murals take you on a tour of Utah’s most spectacular desert landscapes and nature sculptures. If you find yourself mesmerized by these vistas of canyons, arches, pinnacles and gullies of The Beehive State, direct your appreciation towards the majestic Colorado River. The Colorado, along with its tributaries, has been winding its way through the soft sandstone for millions of years and is responsible for sculpting and carving these breathtaking natural marvels on its path. These wallpaper murals take you on a visual tour of some of the most beautiful trails in Arches National Park. These include the The Devils Garden Trail, the longest of the maintained trails in the park and Delicate Arch hiking trail. There is no shortage of fascinating arches in this park as its name implies and The Devils Garden area of Arches National Park contains the largest concentration of notable natural arches in the world. Utah’s unique terrain is at the heart of numerous other protected state and federal parks including Bryce Canyon and Zion National Parks. This wall mural collection showcases some of the finest photography of this region. The state of Utah is known for its world renowned ski resorts and its diversity of terrain. The stunning architecture and beauty of Le Temple Mormon at Temple Square in Salt Lake City is yet another unparalleled Utah landmark you will find featured in this wall mural collection. 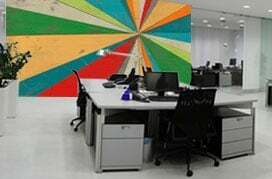 Choosing a wallpaper mural for your home, corporate space or restaurant involves finding the right combination of visuals to complement the theme, accentuate the decor and enrich the ambience. You now have your challenge cut out for you. 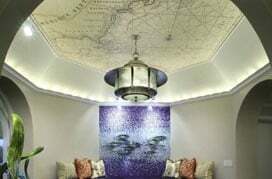 How will you choose your favorites from this handpicked collection of electrifying Utah wall murals?